Students go to a different special every day including Art, Music, P.E. , and Technology. Please be sure to send your child in gym shoes on the days we have gym. 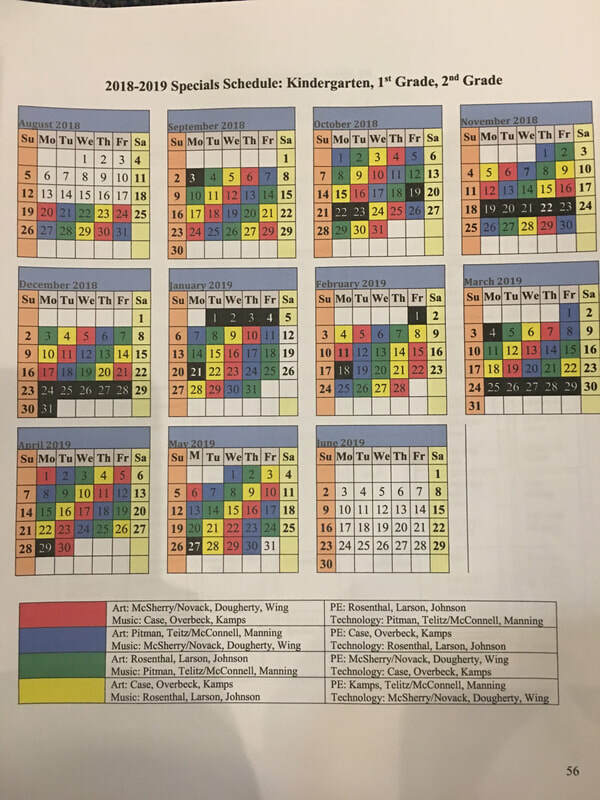 You may download the schedule and follow your child's teacher so you have it for the year. ***Strebeck is listed as Rosenthal on this schedule.